They are here from the very beginning of life in Novi Sad. They were expanding over time, building up and are silent witnesses of everyday city life that go on inside them. Their names throughout history are evidence of former priorities in society, and their buildings are cultural monuments. Sometimes the streets were termed by their directions, so today we have the Dunavska Street, which has maintained the original name because its length was going to the river Danube. 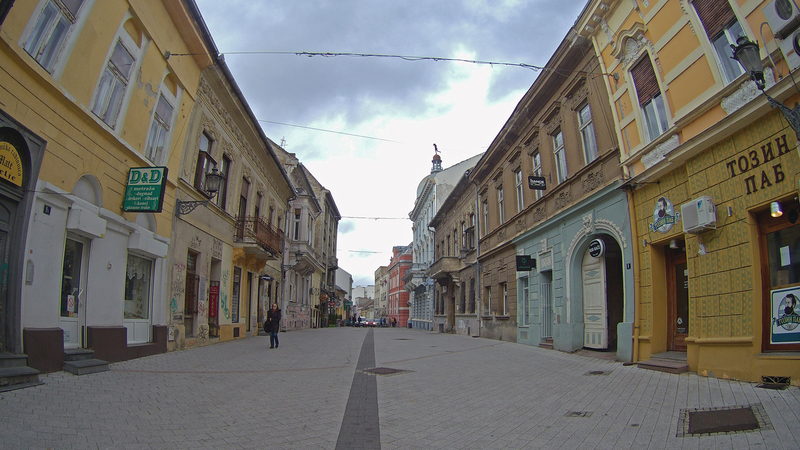 It stretches from the Zmaj Jovina Street to the Belgrade Quay and is considered as one of the oldest in the city. In the middle of the eighteenth century, she wore the German name “Auf den Brucken” which means “on the bridges”. Germans called it the Donau-Gasse. But the official name of “Dunavska Street” has got in 1945, after the liberation of the city. Its original single-storey buildings are characteristic of baroque-classicist style where citizens of the richest layers of society moved into. Today, in the Dunavska Street are the Town Library, Museum of Novi Sad and Vojvodina Museum, and if you walk to the corner where the street intersects with Zmaj Jovina Street, you can see the oldest baroque townhouse from 1720, which is popularly called the “White Lion”. Along with the Dunavska street stretches and namesake park, with the title of the most beautiful and best decorated the city. Dr. Jovan Jovanovic – ”Zmaj” – poet. on the 70th birthday of the poet. Except for the Zmaj, in this street once lived Laza Kostic, Djura Danicic, Svetozar Markovic. 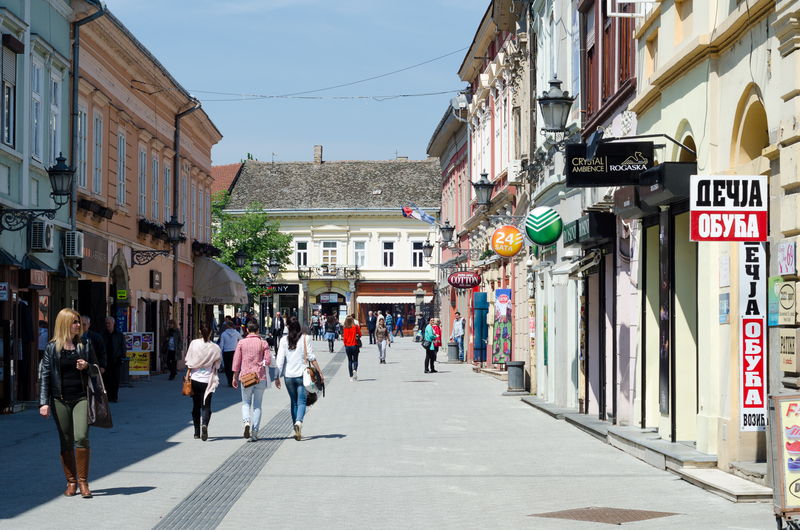 The former center of the city, Trifkovićev Square (Goat Square-old name), which was the center after the Novi Sad became an independent settlement, is very important because of its historical value. On the map of the city from 1746 on the town square was a branch of the Danube, which is much later filled up in order to build up the first residential buildings, which is the evidenced of the age of the square. On the Square was once housed the fire station, and next to him Garden of the Roman Catholic Plebanija. In the building at No.1 was living playwright, attorney and city attorney Kosta Trifkovic which name market bears. Between 1870 and 1890, on the site of the current parking lot was a building of the Serbian National Theatre. Today Trifkovićev Square is only a parking lot and only its name can testify its historical value. Today Mileticeva Street was named Lebarski Sokak (Bread Alley) until the World War I. After the founding of the city, the first its inhabitants were given the names of the streets by some specific features. And so Lebarski sokak was characterized by a number of bakeries from which perpetually stretched down the street the smell of bread and pastry. This street today connects Zmaj Jovina Street and the Jovan Subotic Street. In past centuries, right here lived most respected and most intellectual citizens. There are birth houses of scientists and academics, Stanoje Stanojevic and Slobodan Jovanovic. Famous Serbian benefactress, Marija Trandafil, was the owner of the house, which is located at No. 1, and at the number 6 lived Jovan Obrenovic, brother of Prince Milos Obrenovic. In the street are located many cafes where the actors, writers, and academics were gathered. Former Hanska Street or alley is full of secret corners and interesting stories. The old name is then received by the Turkish Han who is an inn in which were gathered many rich merchants. Often the gathering of traders and playing cards led to quarrels, fights, and even mysterious disappearances. This house was in a very bad reputation in the second half of the eighteenth century. At the end of the nineteenth century on the site of the Turkish Han was built an orphanage for children thanks to the fund of Marija Trandafil. After the orphanage after several years transferred to the new address, the building was adapted for the needs of Matica Srpska, which is why street got its name. In the street lived actors of Serbian National Theatre, professors, female students of the girls’ school and students of the Greater Serbian gymnasium. Among the oldest in the city are Almaška street, Futoška street, Temerinska street, Street of Sava Vukovic (founder of the Great Serbian Gymnasium), Kazandziska Street and many others which with their foundations tells their stories and takes the important place as a part of the history of Novi Sad.